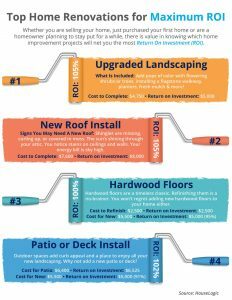 Have you ever wondered where your money would be best spent when it comes to home renovation? Large projects such as kitchen and bath is what we always hear, but dollars spent on projects such as landscape and decks can bring maximum ROI! Check out this infograph for some great ideas on where your money can be spent for maximum return!